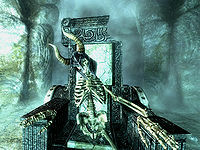 The Helm of Yngol is considered to be a part of the Steel Plate set, and not the Ancient Nord set. As this helmet is considered to be part of that set, you can use the Helm of Yngol to replace a Steel Plate Helmet or Ahzidal's Helm of Vision, and still gain the Matching Set perk. 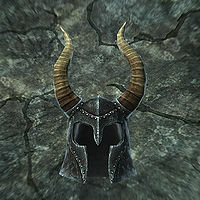 Unlike other 'Draugr' or 'Ancient Nord'-styled helms, the helm looks identical for both males and females instead of the female version having smaller, deer-like horns.